Visiting the Severn Valley Railway is like travelling back through time and whilst the many hundreds of volunteers who operate the heritage railway certainly deserve credit, the real unsung heroes are the British firms who built steam engines that, even after almost 100 years, still look fantastic and operate perfectly. The railway runs for 16 miles from Bridgnorth in Shropshire to Kidderminster in Worcestershire and follows the course of the River Severn for most of its route. The original railway closed in 1963 before opening as a tourist attraction in 1970 and it now carries approximately 250,000 passengers a year which contributes more than £6m to the local economy. Once you’ve finished admiring the stunning old locomotives you quickly notice that almost everything used on the railway and its seven stations is from a similar era and has been carefully selected to maintain the railway’s heritage. They even use a fleet of Slingsby’s famous wooden platform and hand trucks that date back to the 1960’s. Most of them were donated to the Severn Valley Railway when it reopened and others were donated in the years that followed. Like almost everything else on the Severn Valley Railway they were manufactured in Britain and are in use nearly every day. 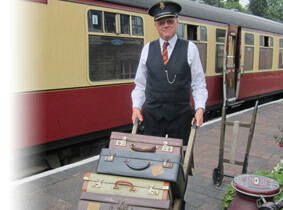 Chris Thomas, Assistant Station Master at Bridgnorth, explains: “When the railway reopened we appealed for all types of things and traditional trucks were a big requirement. 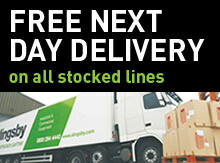 It just so happened that the trucks that were donated were manufactured by Slingsby so they’re obviously well made! “Slingsby’s trucks are now a feature at every station on the railway and they are in use constantly. We rely on them to move everything around the stations, from beer barrels through to deliveries, and we even use them in areas that the public don’t see, such as in our stores and workshop areas where they are used to move mechanical parts from the steam engines and carriages.